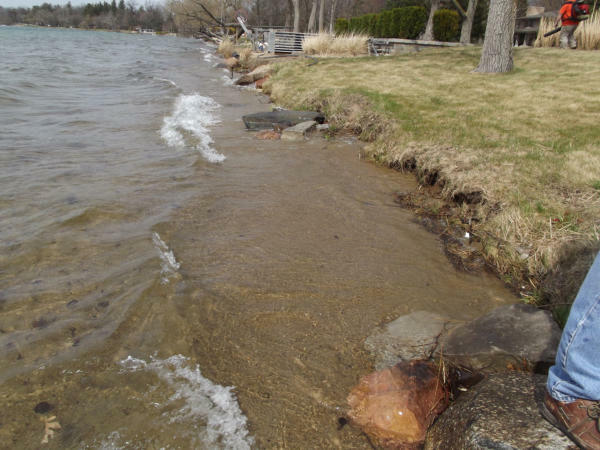 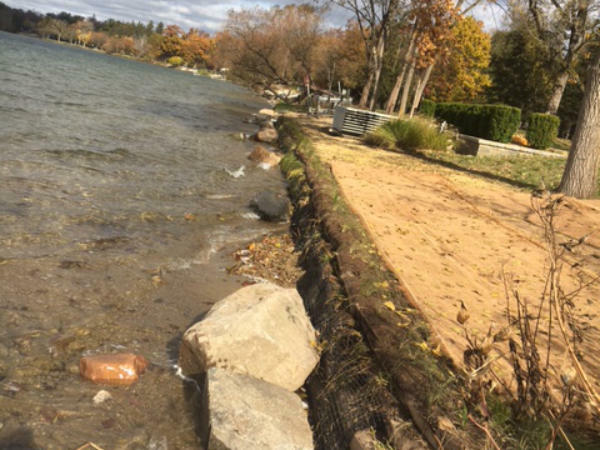 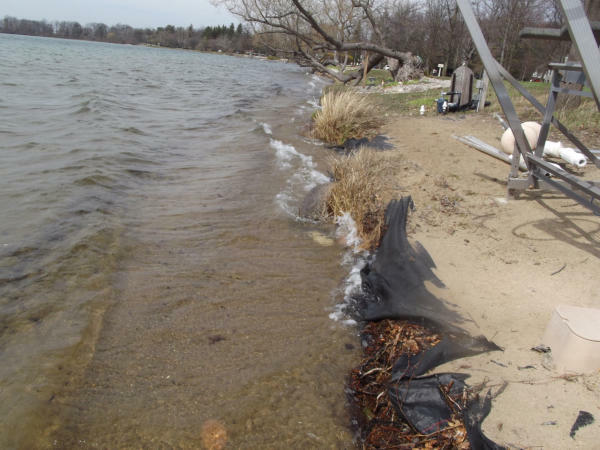 Orchard Lake 2017 Phase II In 2013 we installed a 35’ section of Envirolok and rain garden along the shoreline. 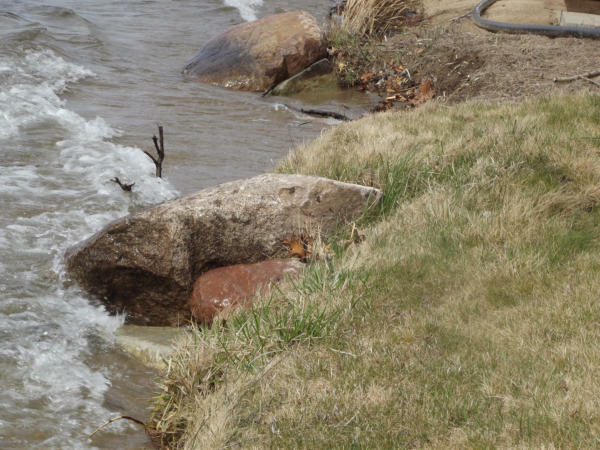 4 years later the installation withstood the high energy impact of waves and ice. 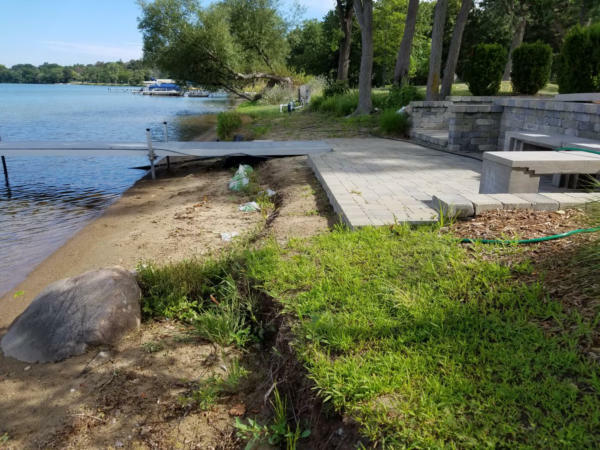 However, the remaining 120’ suffered severe loss of shoreline and threatened a lake side patio about to slide into the lake. 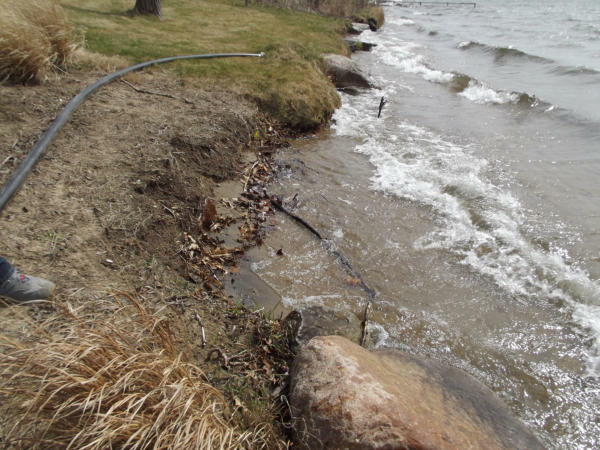 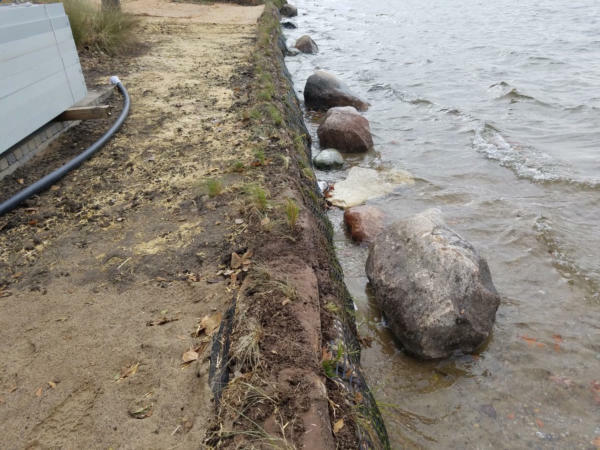 The homeowner wanted the balance of his shoreline reinforced to prevent any additional erosion. 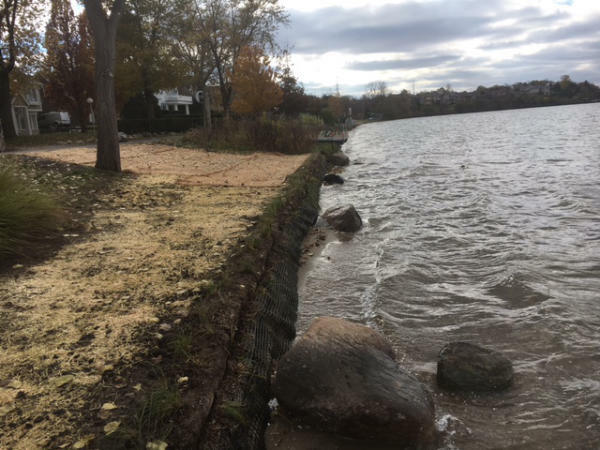 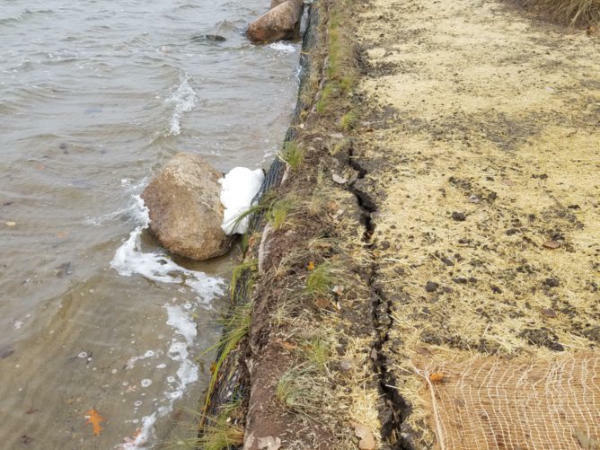 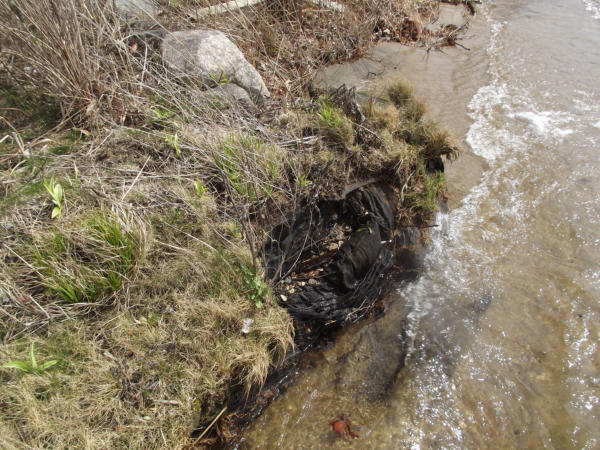 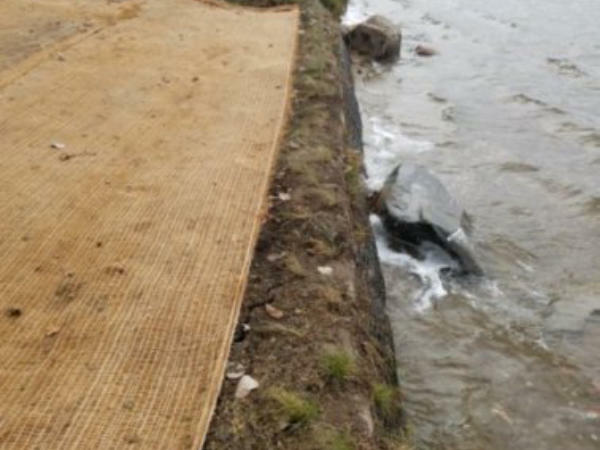 The pictures tell a pretty good story, but 4-5’of shore was pushed back in some areas, and the homeowner wanted a more natural solution vs seawall of boulders or sheet steel. 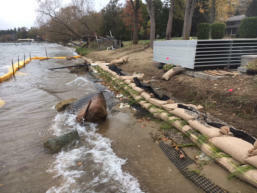 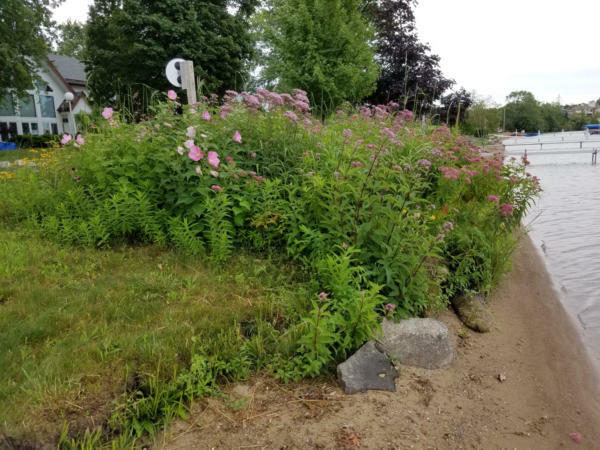 This installation was not completed until early November 2017 and therefore growth of planting species cannot be appreciated. 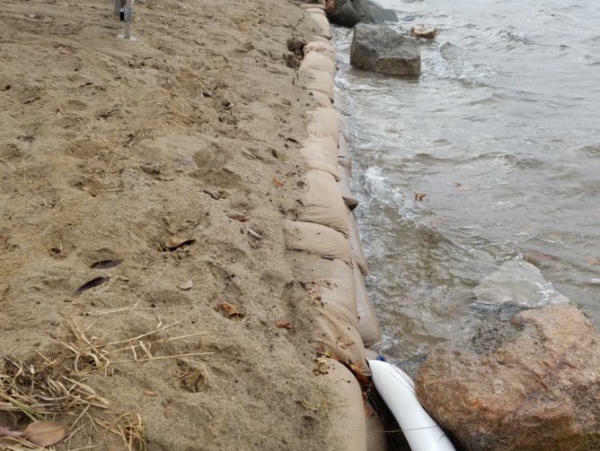 4 rows of Envirolok units were installed and backfilled to create a buffer.